Photo: Keswick, State Route 711, Huguenot, Powhatan County, VA. Listed on the National Register of Historic Places in 1974. 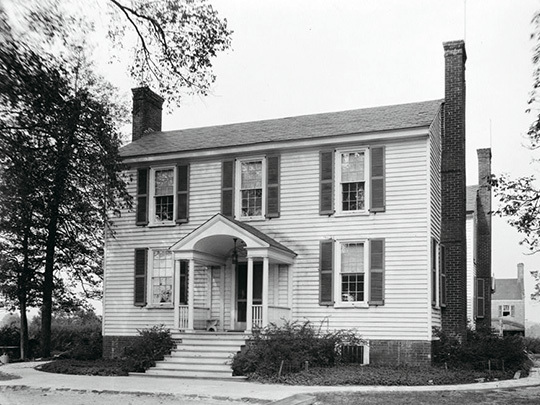 Historic American Buildings Survey [HABS VA-164], memory.loc.gov, accessed February, 2013. The Powhatan County Courthouse is located at 3834 Old Buckingham Road, Powhatan, VA 23139; phone: 804-598-5612.